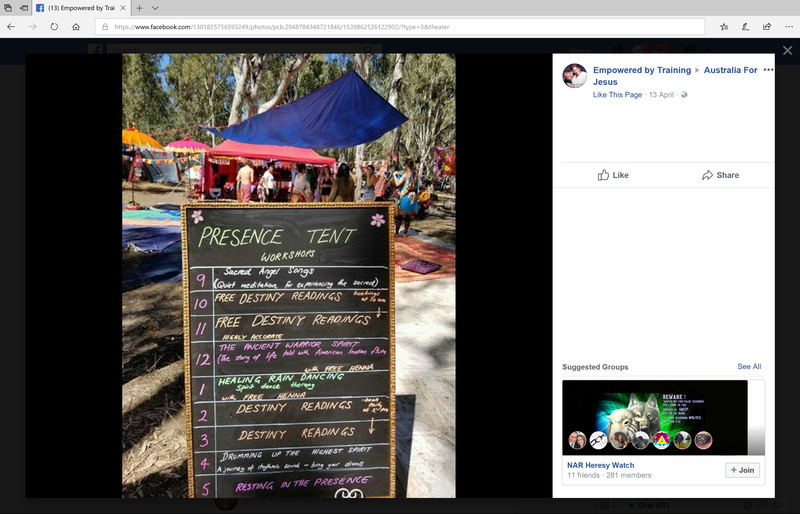 Ben Fitzgerald thinks true New Testament evangelism looks like summoning, fortune-telling and witchcraft? Home › Awakening Conferences › Ben Fitzgerald thinks true New Testament evangelism looks like summoning, fortune-telling and witchcraft? 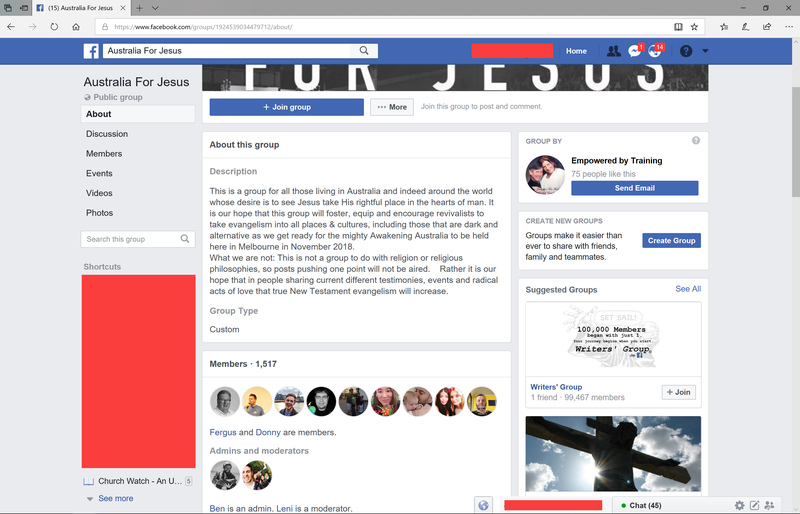 “This is a group for all those living in Australia and indeed around the world whose desire is to see Jesus take His rightful place in the hearts of man. It is our hope that this group will foster, equip and encourage revivalists to take evangelism into all places & cultures, including those that are dark and alternative as we get ready for the mighty Awakening Australia to be held here in Melbourne in November 2018. Source: Australia For Jesus, FaceBook, https://www.facebook.com/groups/1924539034479712/about/, Accessed June 05, 2018. Sacred Angel Songs (quiet meditation for experiencing the sacred). Drumming up the highest spirit. If you think that sounds demonic, you’d be right. While the Holy Spirit, working through the Apostles, clearly preached the gospel of Jesus Christ around the ancient world, Ben Fiztgerald and his parents think that practicing the methods of demon-possessed fortune-tellers, witches and warlocks is a better way? Why does Ben Fitzgerald now attribute true New Testament evangelism to the very practices that the apostles either cursed, condemned or set free those held captive by the demonic? To this day, Bethel Church endorses and defends the ministries of Ben Fizgerald and the controversial occultic ministry of Jennifer Hodge’s Christalignment. Despite Jennifer Hodge misleading Bethel and believers around the world about the nature of her demonic practices, Bethel still stands in agreement with her ministry.